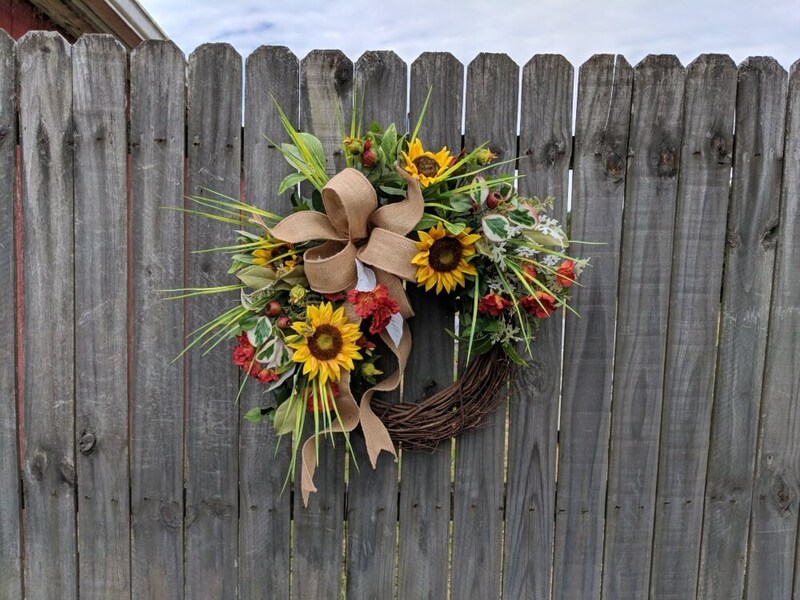 This listing is for an opposing pair of the wreath above on 20" bases. There will be additional flowers and greenery added. 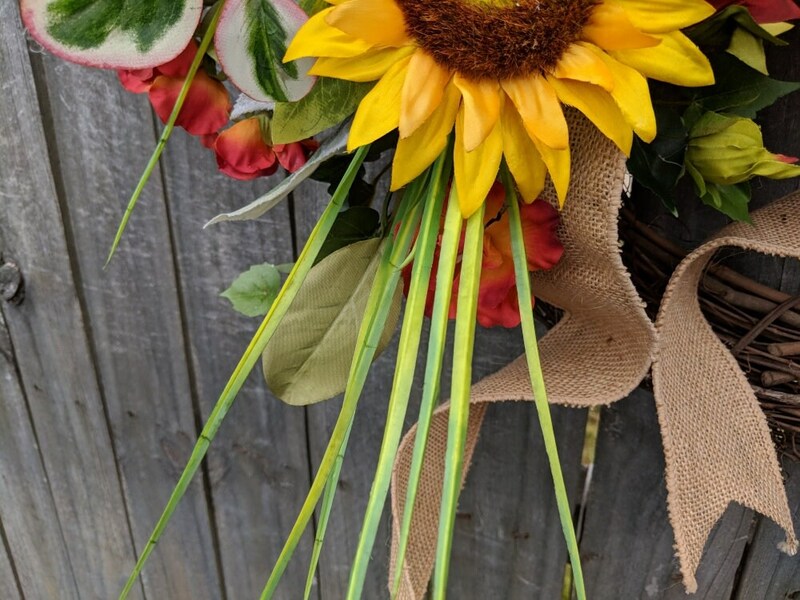 This Sunflower wreath is perfect to welcome spring and to use all summer long! 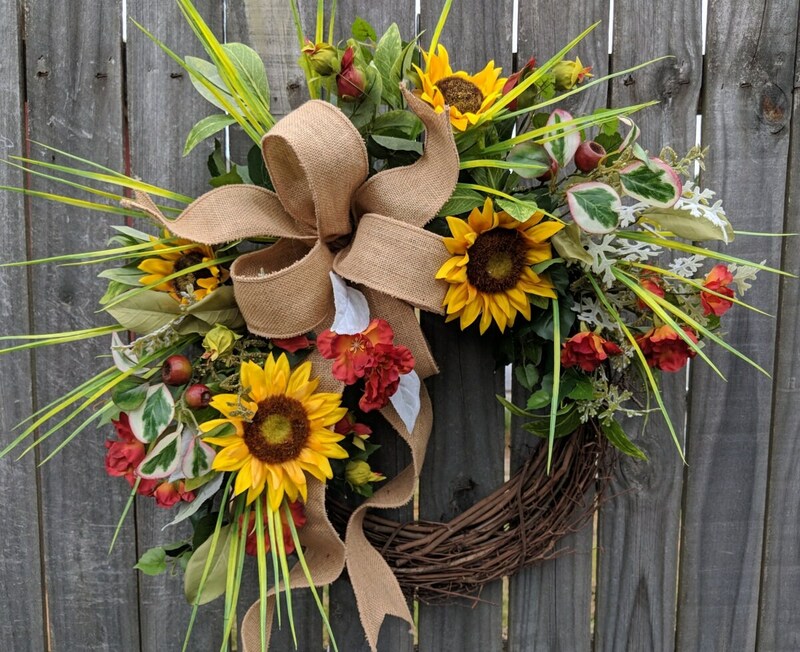 Adorable colorful artificial sunflowers are the main event in this wreath. 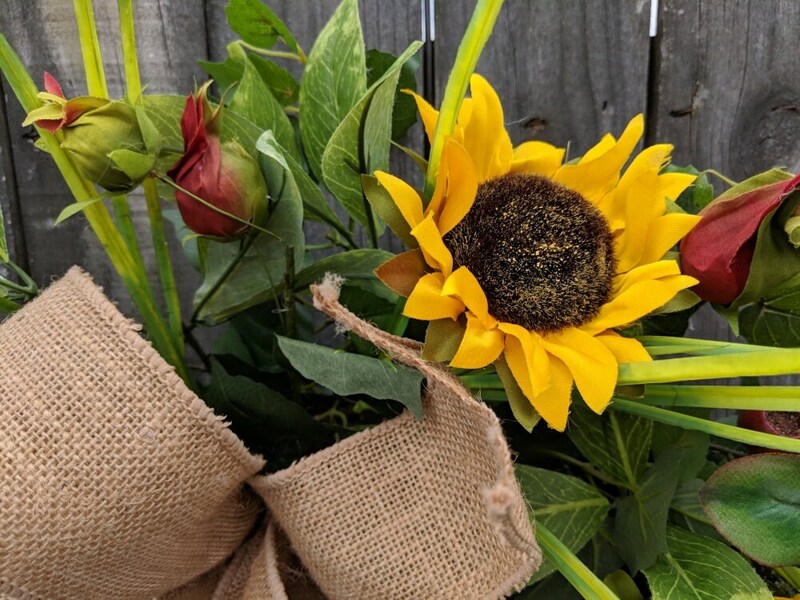 Realistic foliage and grasses are used to compliment the blooms. 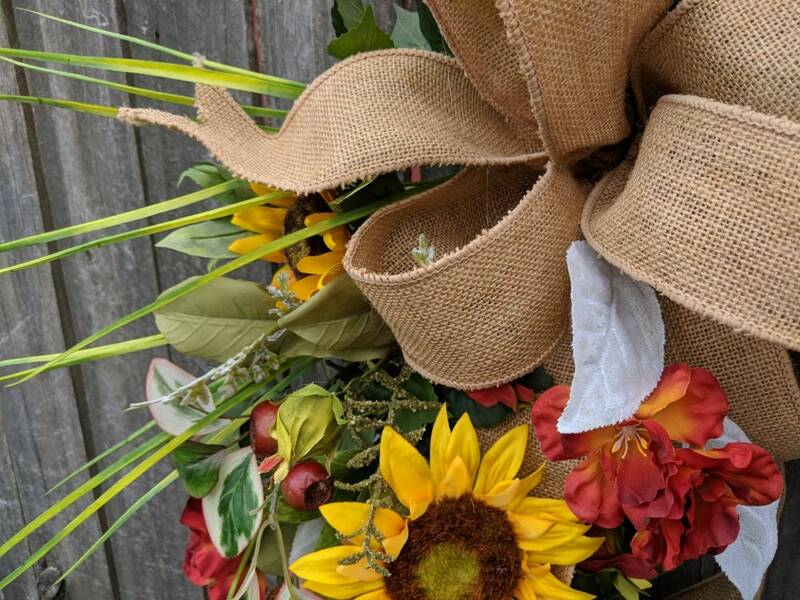 A gorgeous wired burlap bow completes the look. 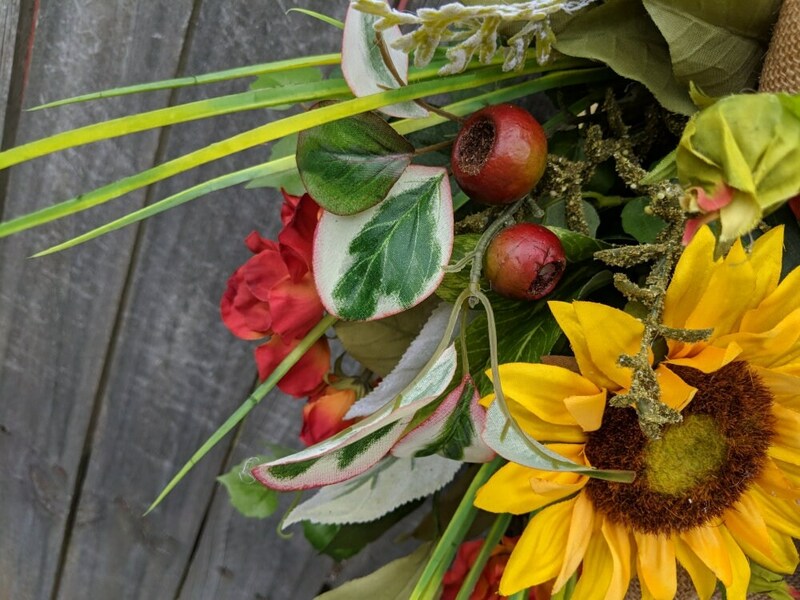 This wreath's foliage and blooms have a light and airy feel where the grapevine base is visible in places. Approximate Diameter (tip to tip): 22"